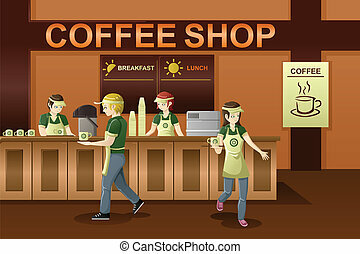 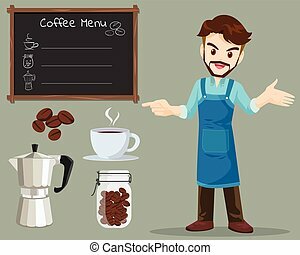 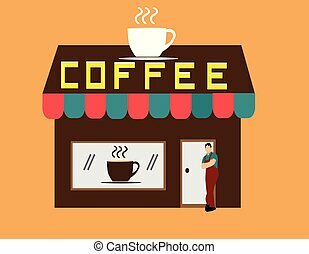 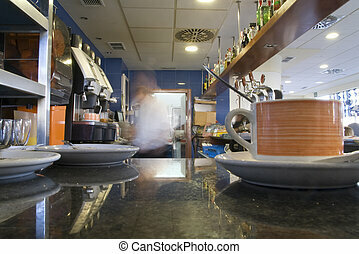 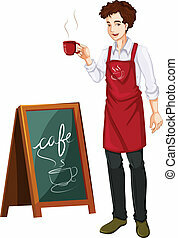 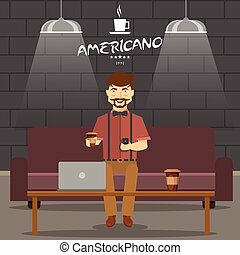 Man in coffee shop. 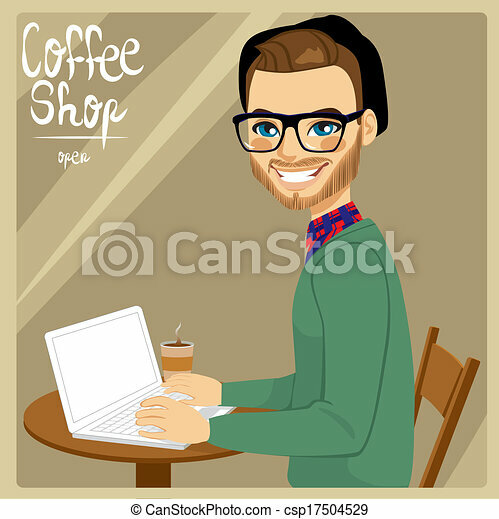 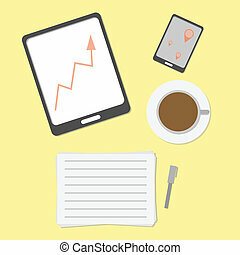 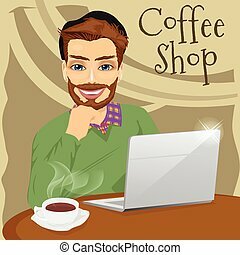 Attractive brown haired hipster style man with his laptop enjoying a hot coffee in coffee shop. 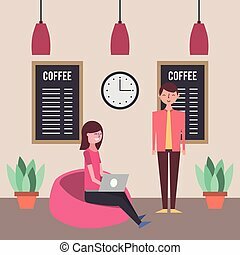 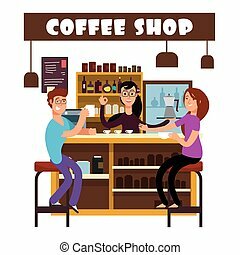 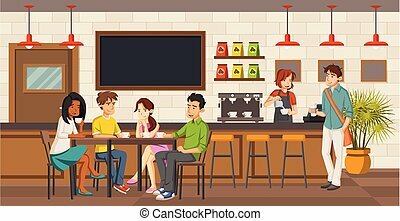 People sitting in a coffee shop. 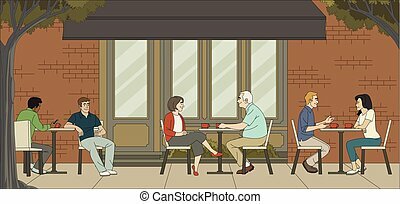 Cafe with couples on tables.